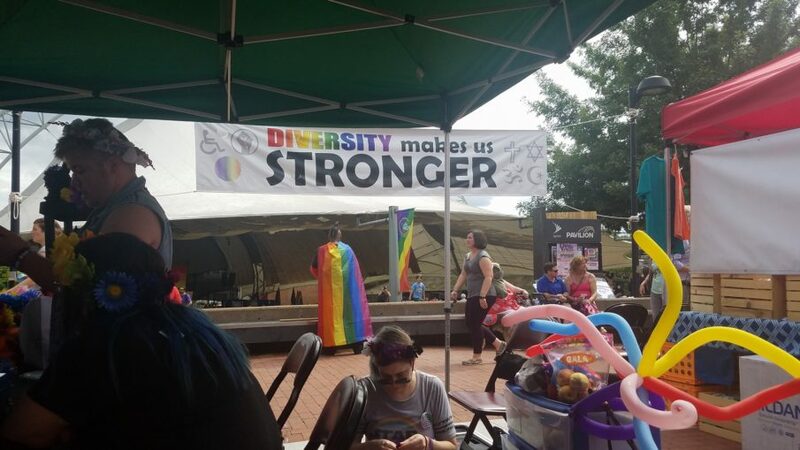 Charlottesville, VA – Friday, Sept. 14, 2018 – Local nonprofit Charlottesville Pride Community Network (Cville Pride) wants to make sure everyone in the community knows that, despite the threat of Hurricane Florence this last week, they have not cancelled the 7th annual Cville Pride Festival. “We’ve been in wait-and-see mode all week,” Lisa Green, festival director, says. “We’re happy to be able to reassure all the people who have been looking forward to the event that the show will go on.” Green says that she and the Pavilion organizers have been working closely together to ensure the safety of everyone who attends. The Cville Pride Festival takes place from 11-7, Saturday the 15th at the Sprint Pavilion, followed by an after party at Rapture. Discounts and specials are available to wearers of Pride wristbands all along the Downtown Mall and beyond. And don’t miss WE ARE STAR CHILDREN at Fridays After Five TONIGHT! Featuring some of the drag queens from the show tomorrow!